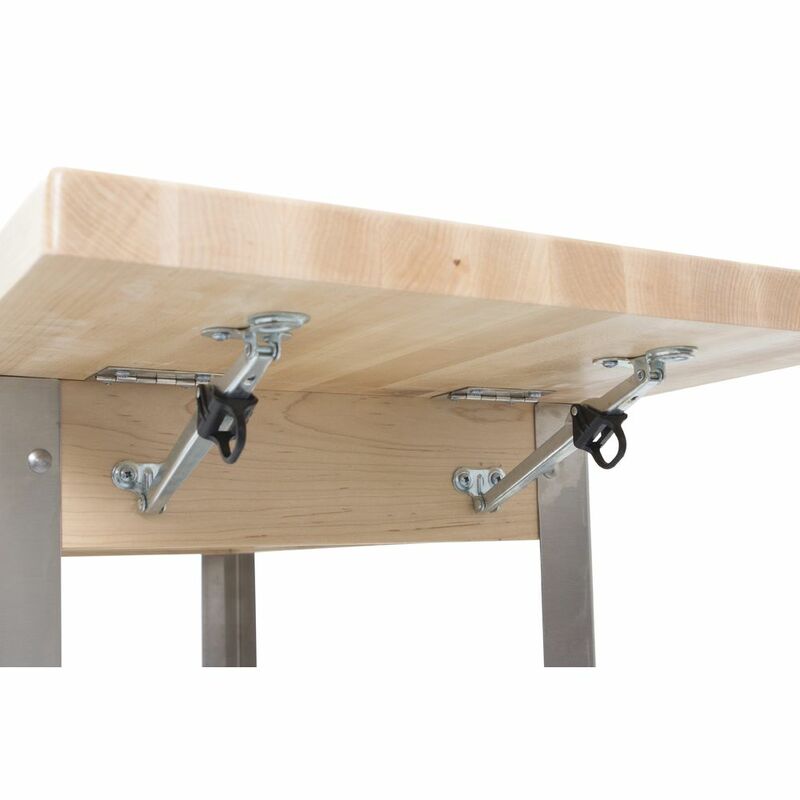 This handsome cart from John Boos features 13/4" thick North hard rock maple top with Varnique finish and 2 food service-grade stainless steel shelves. The middle shelf is reversible. 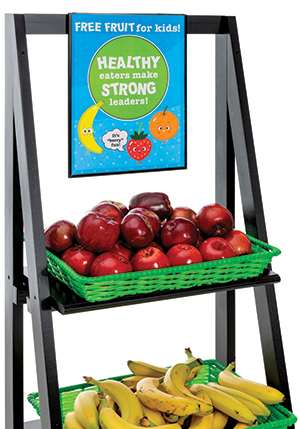 A single 10" drop leaf gives you display and storage options. 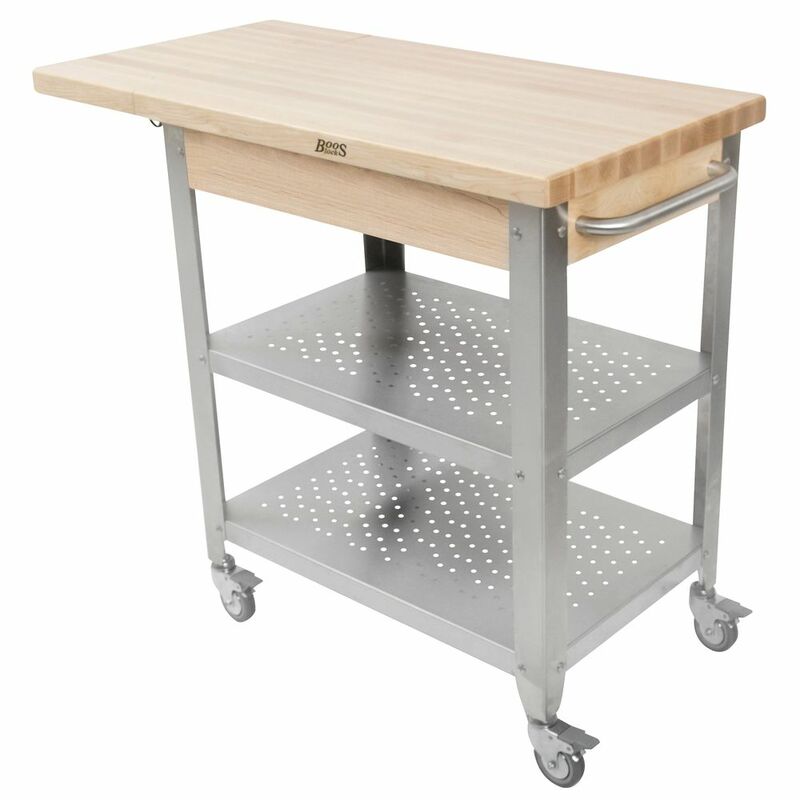 The cart has stainless steel legs and a stainless towel bar and rolls smoothly on commercial grade 3" locking casters. 40" x 20" x 35" (L x W x H).